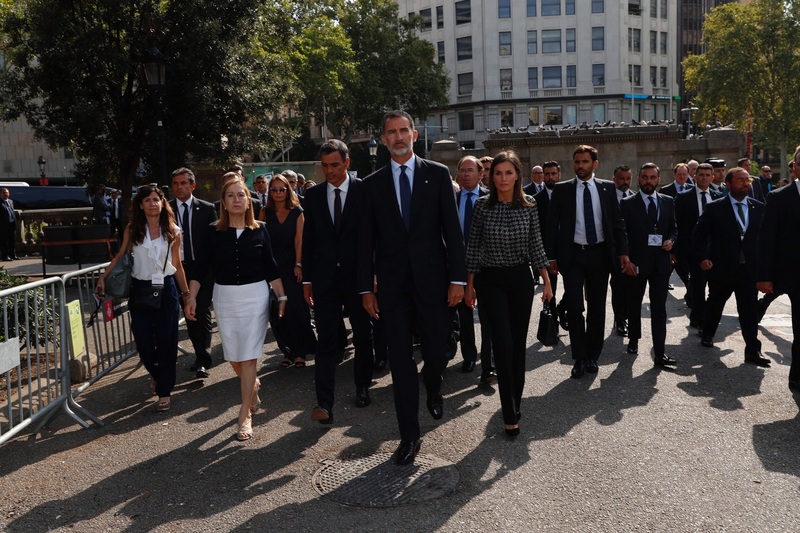 On Friday, King Felipe and Queen Letizia paid tribute to the victims of the terror attacks of August 17, 2017 in Barcelona and Cambrils. 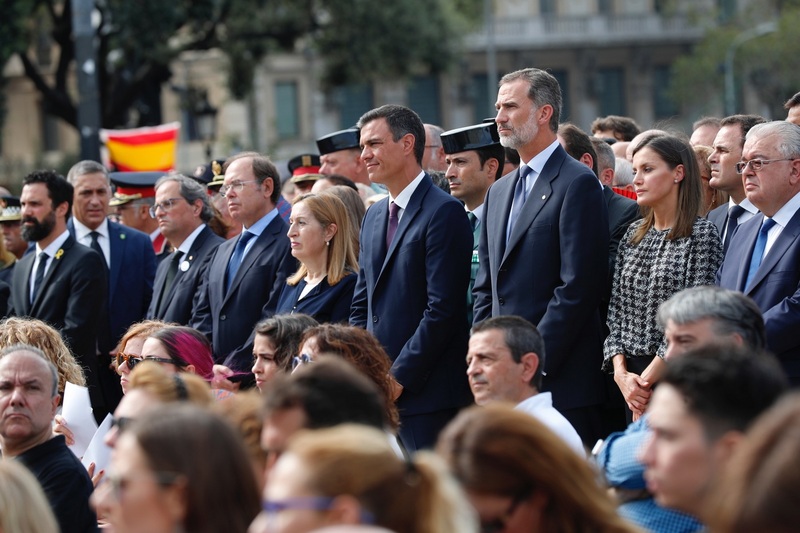 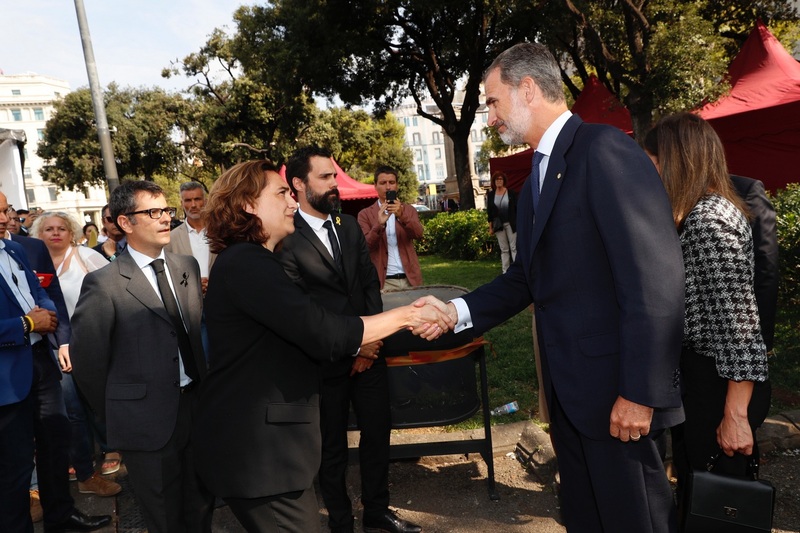 The Royal Couple, who is on summer break, traveled from Mallorca to Barcelona with new Prime Minister of the country to attend the ceremony in the memory of the victims and solidarity for the terrorist attacks . 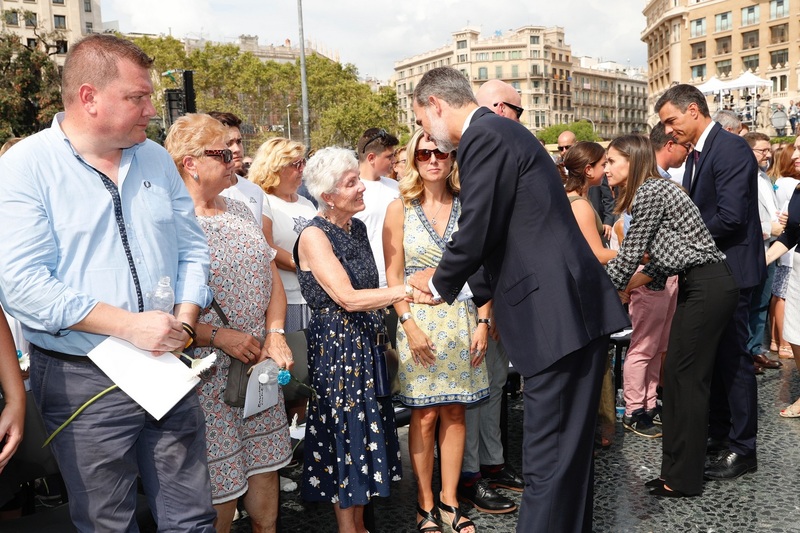 Before the event, King and Queen met with the survivors of the attack and the family members of the victims who lost their lives in the heart-wrenching attack last year. 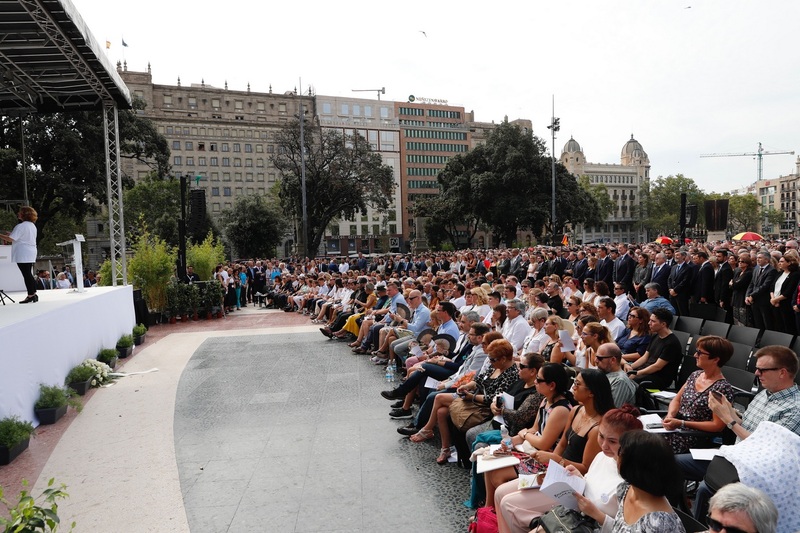 The event consisted of a musical performance by a group of more than fifty students from the five municipal music schools and the Municipal Conservatory of Music of Barcelona. 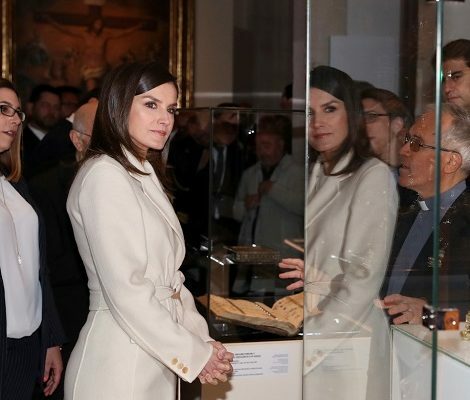 Keeping a low profile, Queen Letizia chose a simple and sombre look. 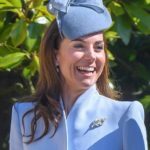 She was wearing a black Carolina Herrera chiffon top featuring houndstooth print, round neckline and long draping sleeves. 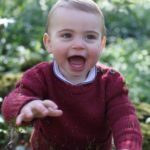 Queen has the same top in red also. 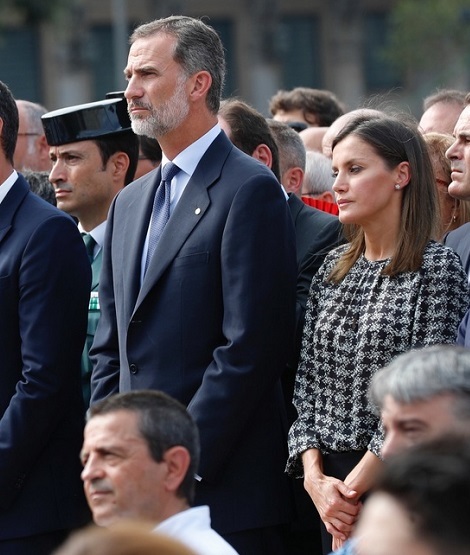 Letizia paired the top with black wide-leg pants from HugoBoss that has been part of her wardrobe for a long time. 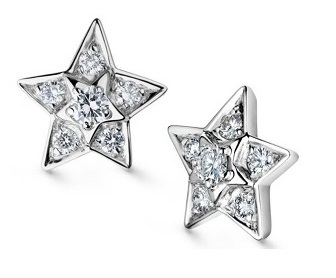 Queen was wearing black pointy-toe suede pumps and her Chanel Comete earrings. 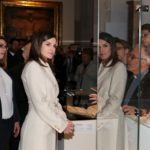 Letizia was seen carrying a black handbag.